As we will see, regardless of which measure used, rent increases continue to outpace worker’s wage growth, meaning the situation is getting worse. 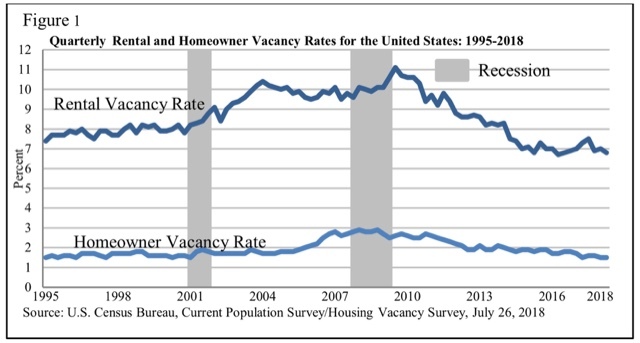 Most likely this is a result of increased unaffordability in the housing market, driving potential home buyers to become or remain renters instead. Note that HUD’s measure of housing affordability also generally deteriorated in 2017, making home-buying the least affordable since 2008, although better than during the bubble years. But the strong suggestion is that, as housing has become less and less affordable, more households are forced into renting, which has responded by *also* becoming less affordable. 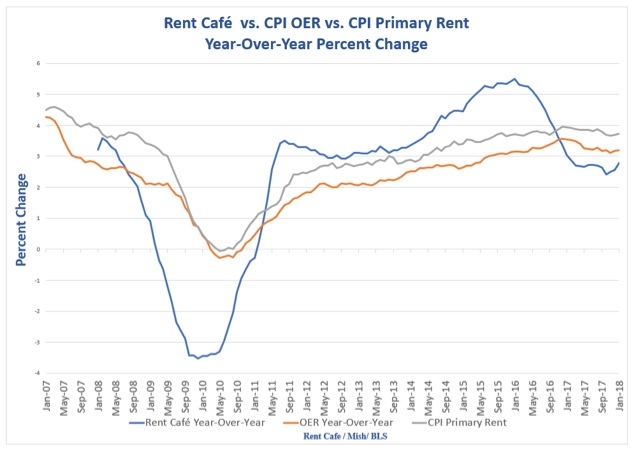 Here’s the bottom line, from all 4 sources: regardless of which measure we use, rents are growing faster than nominal wages for nonmangerial workers,which have onl increased at 2.7% YoY through last month. 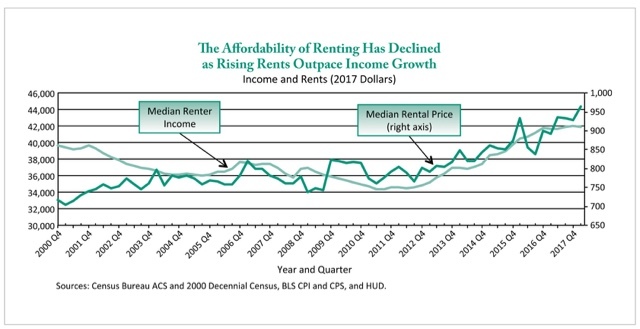 In particular, this quarter’s Census report not only indicates no relief from the “rental affordability crisis,” it, like all the other metrics, shows that it is becoming worse, as — most likely — more and more households are being shut out of the home-buying market due to 5%+ YoY increases in house prices and increased interest rates, and are forced to compete for apartments instead. 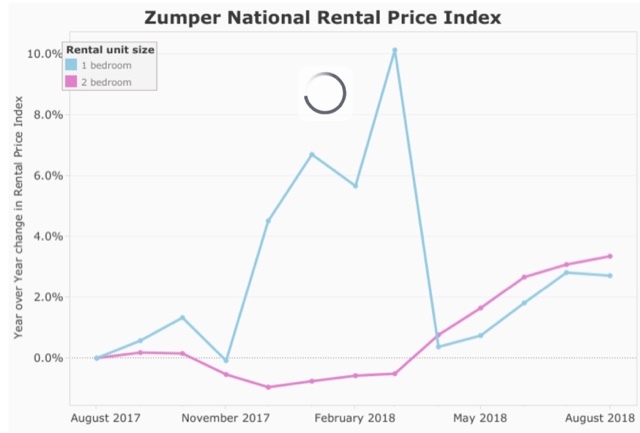 A lot of useful information and I appreciate the focus on inflation adjusted rents but the first graph in the post shows current dollar rents. Somehow that stopped me reading for just a second. And so, of course, Secretary Carson has decided that the poor do not need any help with their housing costs. It makes them dependent or something. The table makes no sense. Why compare median real monthly rent to weekly real earnings? The time frames must match. Or is this meant to be a blatant manipulation of people who do not read closely? Welcome to Angry Bear. First comments always go to moderation to weed out spammers and advertising. A better practice is to be polite when you point out what you think are errors.